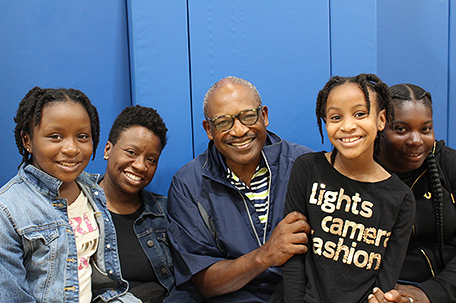 ABOVE PHOTO: Gesu School President and CEO Bryan Carter (center) with families of 2nd, 4th, and 7th grade Gesu students. Gesu School hosted its 25th Anniversary with a back-to-school picnic on Saturday, September 8. Students, families, staff, and faculty gathered to celebrate the school’s longevity and impact in North Philadelphia and beyond. Pennsylvania State Representative Donna Bullock (3rd from right) presents a proclamation issued by Councilman Kenyatta Johnson and Councilman Darrell Clarke to Gesu School leadership (from left to right): President and CEO Bryan Carter, Vice President of Development Robert Weinstein, Principal Sr. Ellen Convey, IHM, Vice Principal/Chaplain Rev. Neil Ver’Schneider, S.J., and Vice Principal Alana Lee. 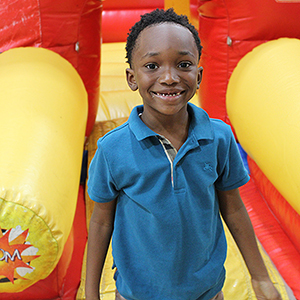 A Gesu School Kindergartener has fun in the bounce house at the Gesu School 25th Anniversary back-to-school picnic. One highlight was a proclamation issued by Councilman Kenyatta Johnson and Councilman Darrell Clarke, presented by Pennsylvania State Rep. Donna Bullock, Gesu School board member and parent. The citation honors Principal Sr. Ellen Convey, IHM, president and CEO Bryan Carter, and vice principal/Chaplain Rev. Neil Ver’Schneider, S.J. 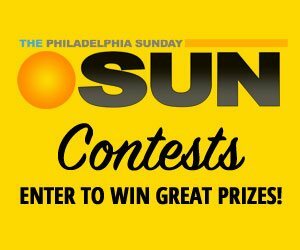 for their dedicated service to Gesu School and children in Philadelphia.